The tennis year is still young and Roger Federer, global brand ambassador of Credit Suisse, is again displaying the full spectrum of his talent. With his victory at the Dubai Duty Free Tennis Championships 2019, Federer secured the 100th tournament victory of his career. 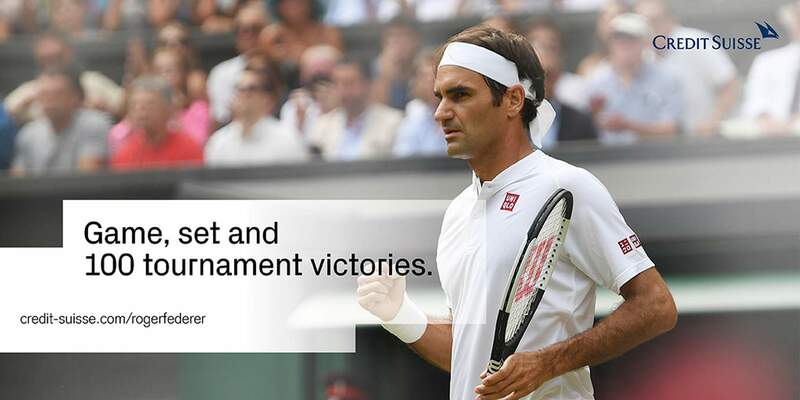 Or to be precise: the 100th tournament victory in men's singles. Only Jimmy Connors has racked up more tournament titles in men's singles in tennis history. Federer is still nine tournament victories away from matching Connors. But while closing the gap is likely to be difficult, it is not beyond the realms of possibility. We would like to congratulate our Brand Ambassador, and look forward to further tournament victories. Is active Roger Federer. The first 100 titles in the bag.